A company dealing as footwear and sportswear retailer, Foot Locker, Inc operates from more than twenty countries. Their headquarter is located at Midtown Manhattan in New York. They are well known for the uniform of their employees that resembles those of the referees. They have their origin rooted in 1963 when F.W. Woolworth Company bought Kinney Shoe Corporation and started operating it as a subsidiary. The company was then divided into several specialty stores of shoes, thereby paving way for Foot Locker in 1974. They jelled with Do Something to initiate program of Foot Locker Scholar Athlete, in 2011. Fortune 500 ranked them as 446th in 2011. There are currently 0 consumer reviews about Footlocker available. Share your review. Please take a note that you are about to post a public review about Footlocker corporate office on CorporateOffice.com. This review will be public, so please do not post any of your personal information on this website. 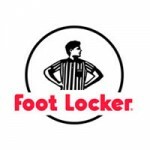 If you would like to contact the corporate offices of Footlocker, please use their contact information such as their phone number, website, and address listed above to contact them. However, sometimes staff from Footlocker headquarters do read the reviews on this website.